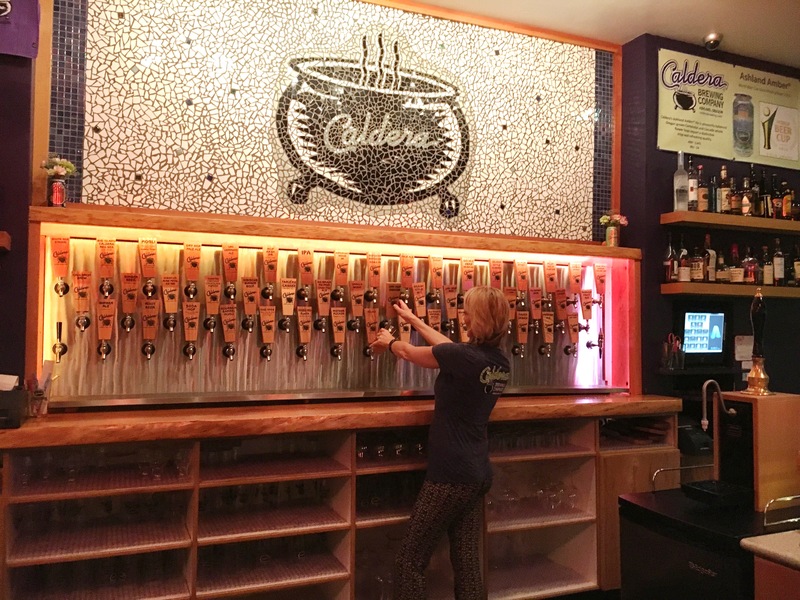 Ashland’s Caldera Brewery-Now that’s a fine kettle of beer(s)! On a recent road trip from Portland to Yosemite National Park, we decided that rather than drive ten hours in one day to Sacramento, we would see how far we got along I-5 leaving Portland in the afternoon. This spontaneity was fortuitous because when our usual Marriott choices were filled in Medford, we pushed on to Ashland. 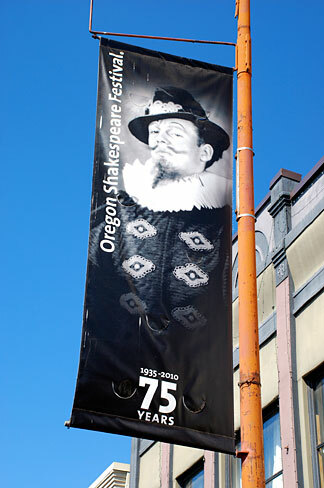 Ashland – Shakespeare and excellent beer too! 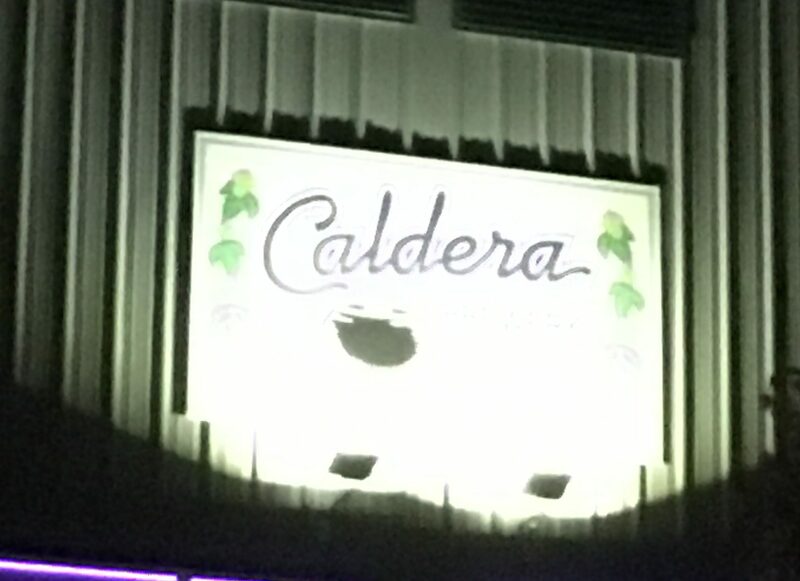 And based on the recommendation of the reception clerk at the motel, we found the Caldera Brewery – a gem and one with an outstanding reputation only a half-block away. This business grew from Jim Mills’ hard work and creativity when he was a young man, to a brewery, restaurant and tap-house which employs 100 people and now ships its product internationally, but it has garnered a national reputation for the quality of its beer. 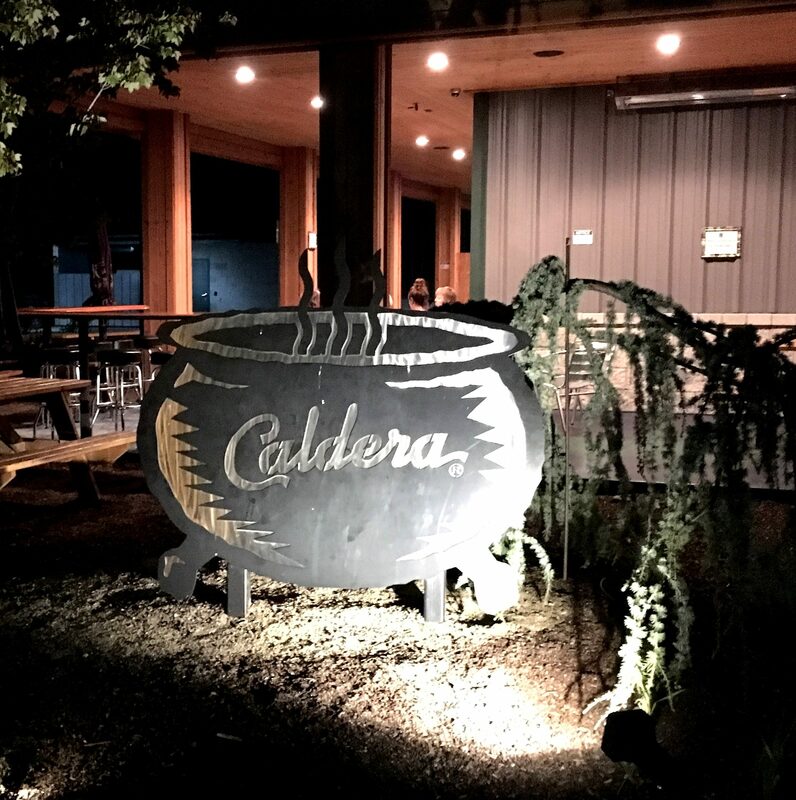 Caldera was born on the 4th of July in 1997 as a small 10-barrel brewery and tap-house and expanded in 2011 to much larger capacity – 30-bbl and 28,000 square feet – including what is now one of the largest restaurants in Ashland. Besides the 92-seat interior, it has an expansive patio which seats another 42. 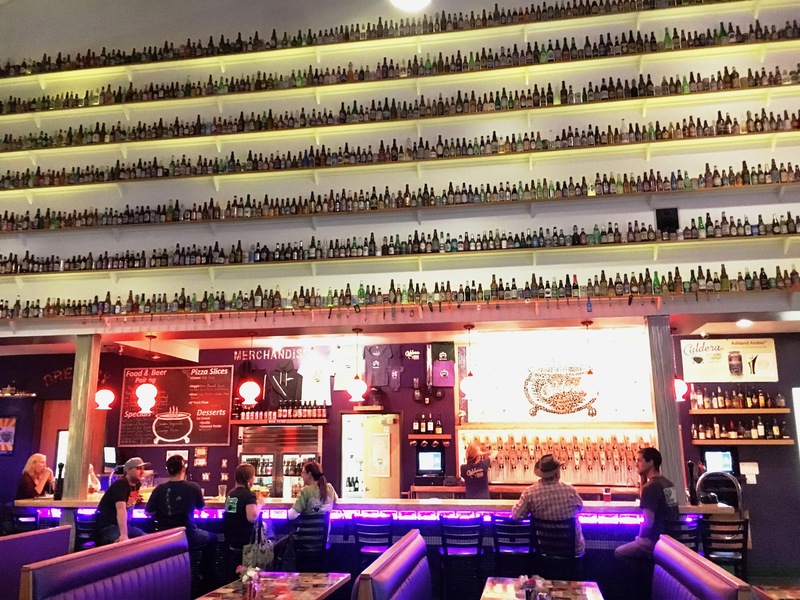 Besides the nice ambiance including an attractive bar, Caldera has a unique collection of bottles and cans that provide the central décor for the brewhouse and restaurant. In fact, at 4,567 in number, they claim it is the largest collection of its kind in Oregon. That assertion seemed pretty credible to me given the visual when you walk in. An amazing bottle and can collection…. And their beers are plentiful and very good based on what we sampled. It appears from their website that they brew seventeen year-round and another twenty-one that are available periodically and their brews have won multiple awards. It seems like this brewery has followed a very smart and strategic growth plan in the last twenty years. 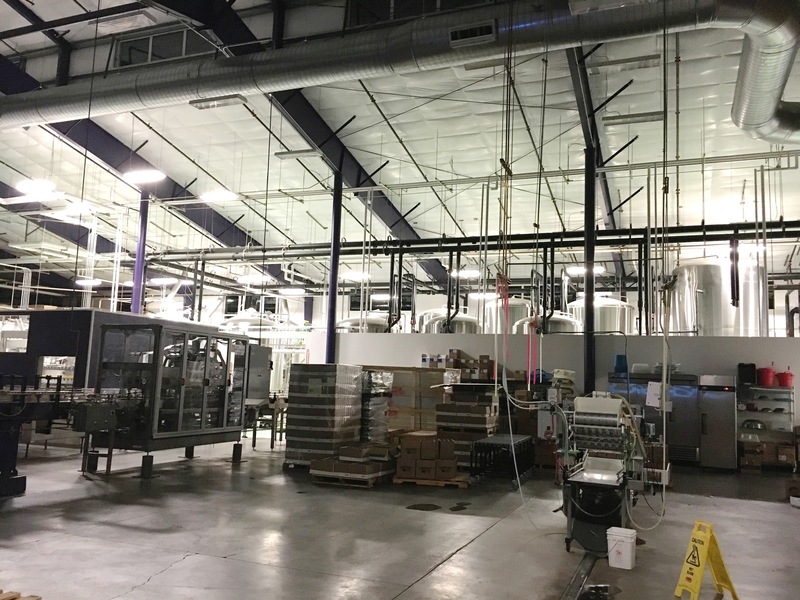 They were the first craft brewery in Oregon to brew and can their own beer (their capacity is now 1,200 cans per minute) and currently ship their cans and bottles to seventeen states and six countries including the Netherlands, Malaysia, South Korea, Brazil and Japan. And check out the graphics on their cans – they are superb and creative. 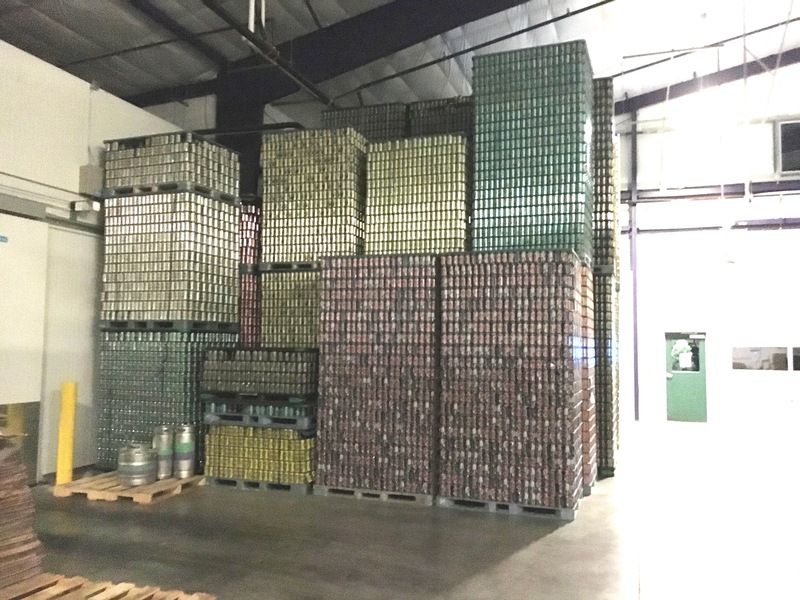 Cans shipped all over the world and 100% recyclable…. They age some of their beer in Kentucky bourbon barrels. Oh, and don’t forget their non-alcoholic soda and teas – root beer, ginger ale, craft soda and “hibiscus rose petal” iced tea. Their sustainability policy appears substantive and thorough with detailed information about practices in food and brewery operations plus building and brewery design. And if our example on a weekday evening was typical, their staff people are solid representatives of the company. 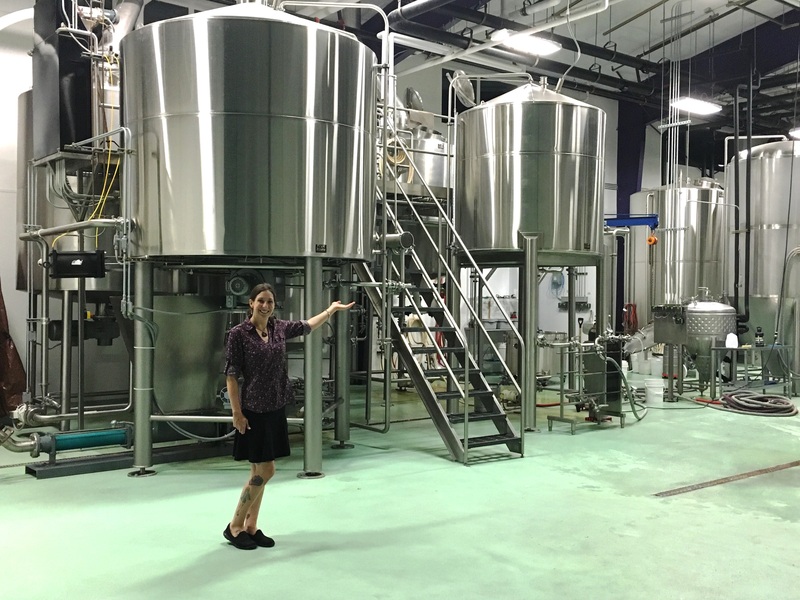 Our bartender was friendly and knowledgeable and when I showed Restaurant and Bar Manager, Savannah, my card and told her about Thebeerchaser blog, she gave me a personal tour of the brewery, which was an impressive physical layout. William Shakespeare once wrote “Go wisely and slowly. 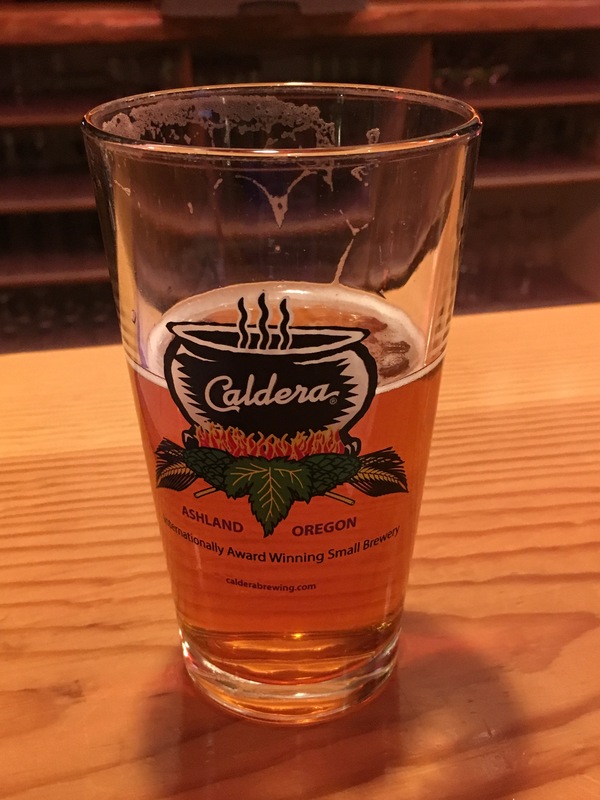 Those who rush, stumble and fall.” Perhaps this quote describes Caldera Brewing’s almost twenty-year history although Mills is not afraid to take a risk in his creative approach to brewing. 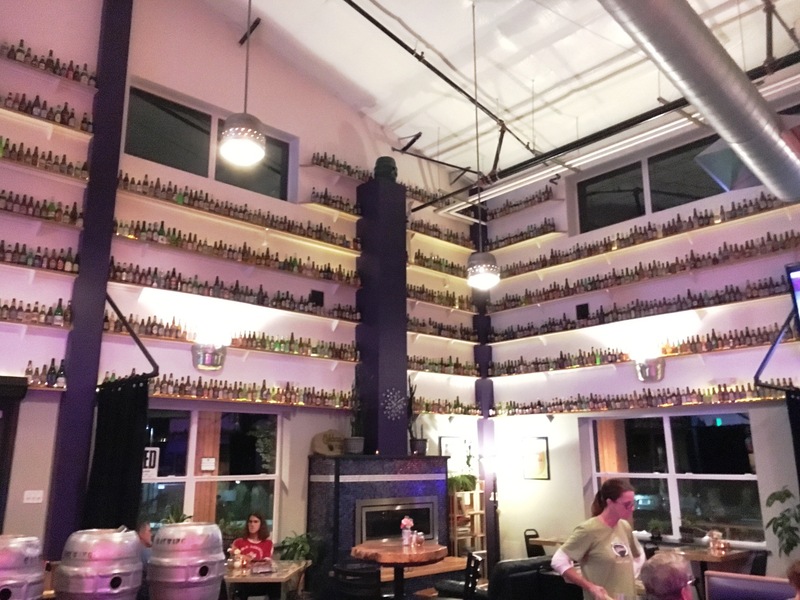 The next time you pass Exit 14 on I-5, stop and have one of their excellent beers, see the bottle collection and judge for yourself.